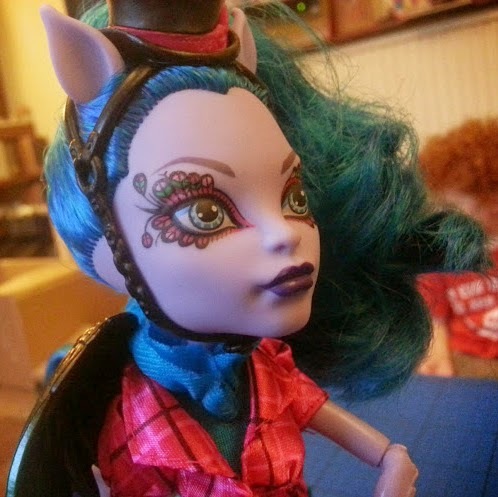 Avea Trotter is one of the new Freaky Fusion Hybrid dolls from Monster High, and as her name suggests, she's a little strange. 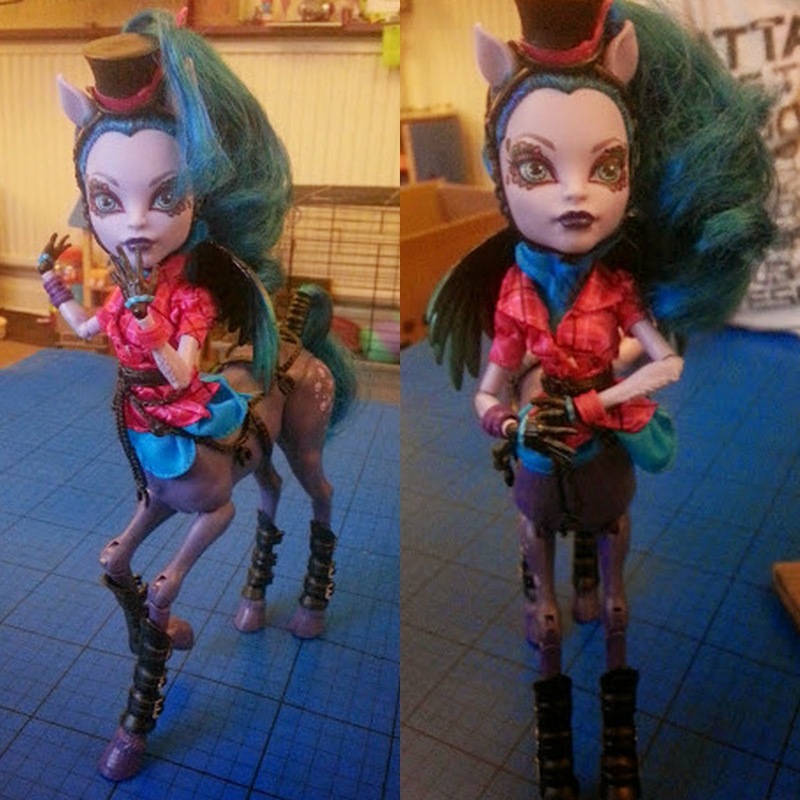 Part Harpy (monster girl) and part Centaur (horse woman), she's not your average student, even at Monster High. 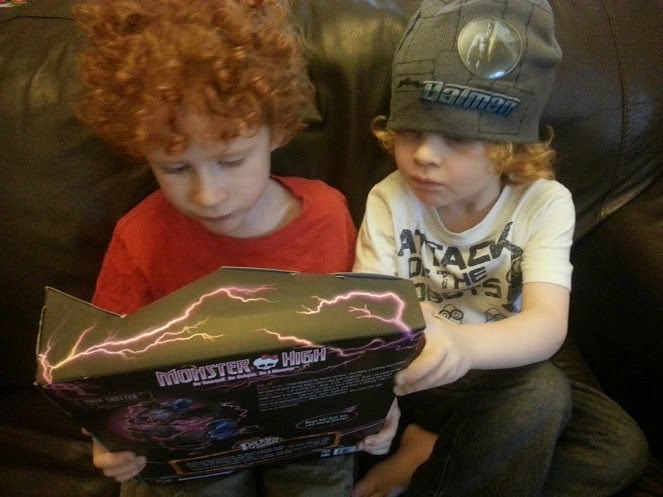 Suitable for children aged around 6+, and one of the top toys this Christmas. 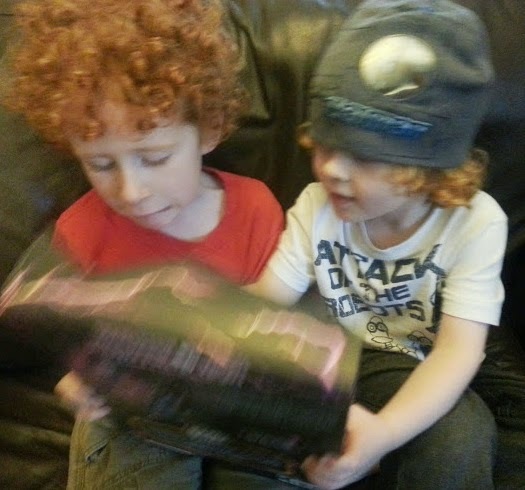 Now I know that it's a bit unusual for two young boys to review a doll, but it's not the first time and Michael is still a firm favourite, and I do have an ulterior motive. This is very different to Michael, and not something my boys have ever had the chance to look at before. They were very bemused and interested in Avea. She's well fixed into her packaging, and although not difficult to remove, you need to be careful of her hands and bendy bits, so I'd suggest an adult supervises, but you won't need scissors except possibly for three tiny punch tags (the ones they use to fix price labels to clothes) - which we just pulled. 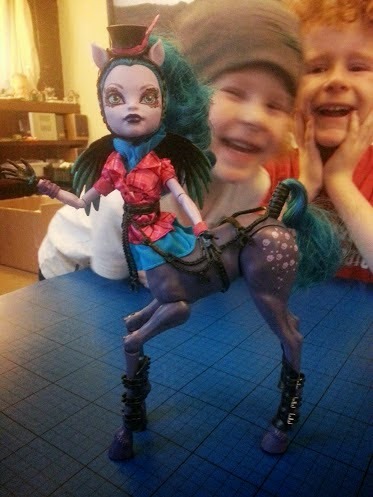 I was really impressed with the quality of the doll. 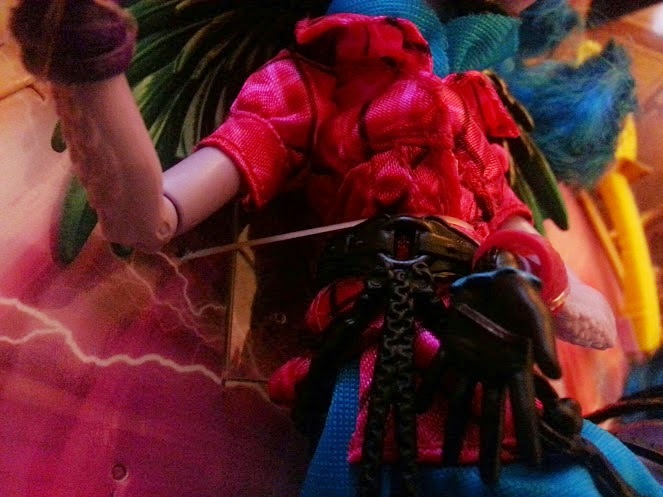 She's almost infinitely poseable, the plastic is nice, the clothes are very well made. There's a great deal of intricate detail, and the moulding and colouring is spot on. The hair is very thick and lush, and the wings are really nice soft rubbery plastic. There are transfers on the body and the most amazing facial decoration. 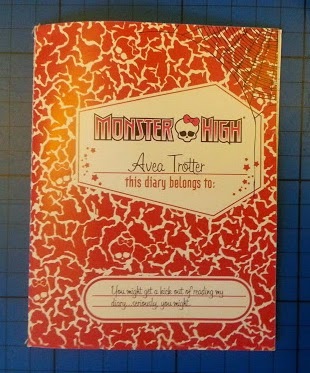 Along with Avea, the box also contains her diary, which is almost a book in itself and has a lot of writing - something which will interest older children, and a hairbrush. 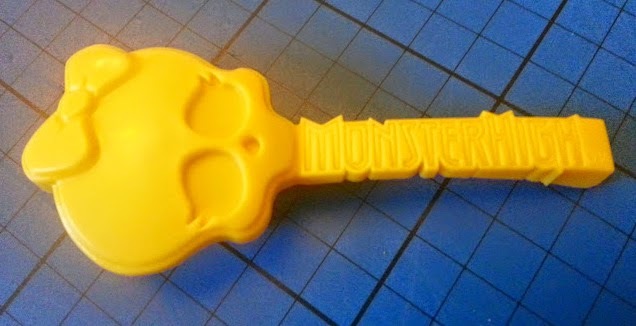 The hairbrush is a bit of a let down - it's bright yellow for starters, which doesn't match anything, and that kind of make it look like a cheap afterthought. Because the boys weren't the greatest of reviewers, I asked for an assistant. This is a 7 year old friend of mine who has very kindly looked after me and walked me to school every day for the last 3 months - and she hasn't complained once. 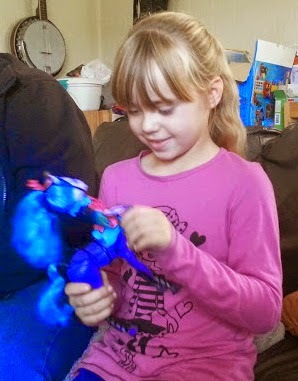 She's asked Santa for Avea for Christmas, so it's the genuine opinion of a fan. We asked if Avea would disappoint and my friend couldn't see that she would in any way. Her Mum agreed with me though, that the hairbrush supplied is surprising. 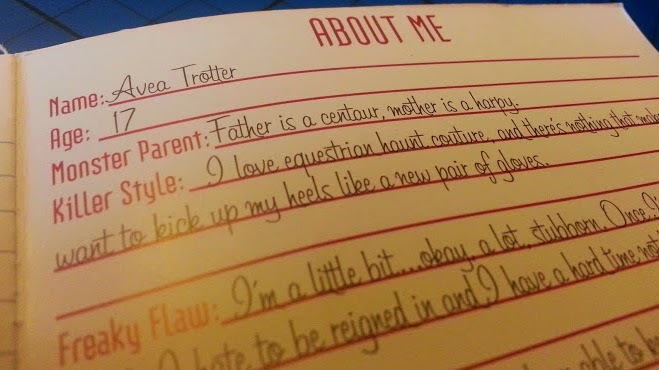 We also asked what was the best bit about Avea Trotter and my friend just thought she was great all round. Clearly a hit and a child who's Christmas present wouldn't be a disappointment. 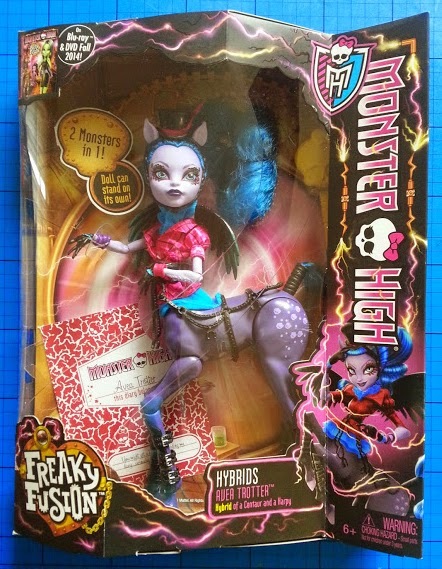 Avea Trotter is currently £27 in Tesco, and all of the Monster High Freaky Fusion dolls have a recommended retail price of around £19 to £27 depending on which doll you choose. They're definitely more interesting than your standard doll and will pose just as well, The dolls and very well made and the children like them, and they're set to be one of the top toys for Christmas for the 3rd year running. 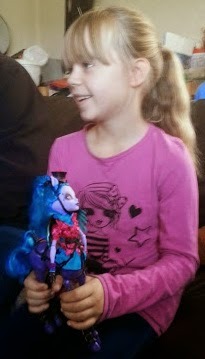 We were sent our Avea Trotter Freaky Fusion doll for review. I'm not convinced on these dolls, they look very different to the Barbie dolls I had as a child. Maybe that's a good thing that there is more choice these days and not every doll looks the same. I am sure my daughter will be into these kind of toys in a few years! It does sound like a good quality doll (bar the hairbrush) and I am sure she will be very much appreciated at her new home! Hmm, not sure what I think of this, not really my cup of tea, but knowing Miss M she would probably like this. Sounds like a well thought out and detailed doll/horse though so probably will be on a lot of Xmas lists! Hahaha...I think it is! Although it's amazing just how quickly you get used to it - I don't think it looks so strange at all now!